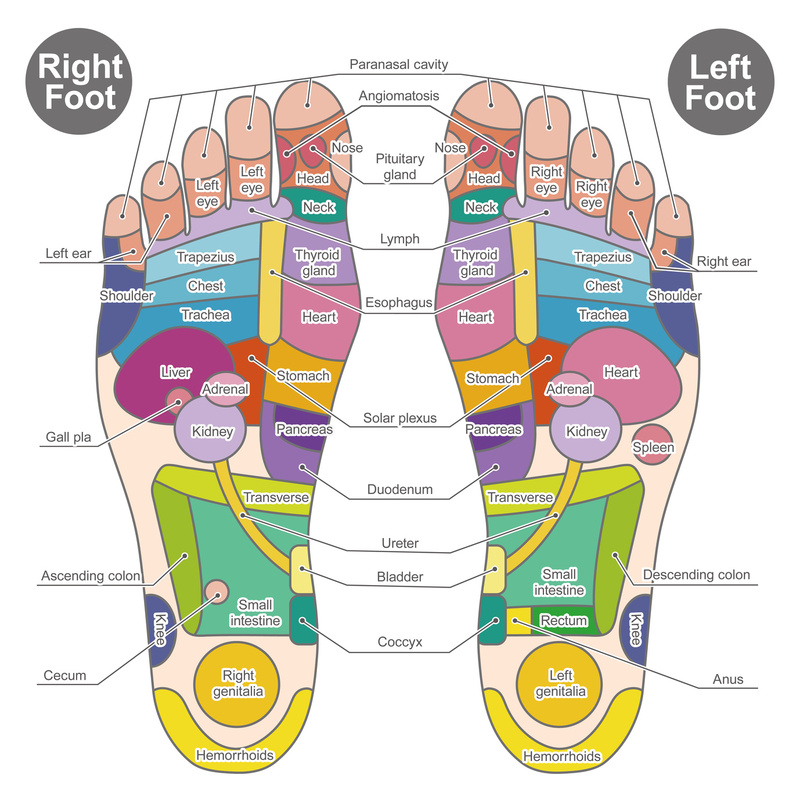 How does reflexology work? | Dora Jackson, R.M.T. Q: What is reflexology and how does it work? A: Reflexology is a natural, non-invasive healing art based on the principle that there are reflexes in the feet, hands and ears that correspond to every system, gland and organ of the body. There are over 7200 nerve endings in each foot which have extensive interconnections, through the spinal cord and brain, with all areas of the body. By stimulating these nerve endings, a reflexologist sends messages along the body’s nerve pathways to its various organs, systems and tissues. In this way, a therapist stimulates and communicates with the nerve network (autonomic nervous system) of the body, creating an involuntary or reflexive response. The body responds by producing endorphins, the body’s natural pain killer. Reflexology does not diagnose or treat specific conditions, but rather encourages the body’s energies into a state of balance or homeostasis. To achieve this, all the reflexes of both feet must be included in any effective treatment. As the body’s network of reflexes are harmonized, specific areas of tension, pain or dysfunction will normalize. Some areas may require extra attention but the ultimate goal is always one of balance. It is important to note that there is very little research to support reflexology. As such, as an RMT, I offer this service only as an adjunct to a traditional massage session and not as a stand-alone treatment. It’s techniques provide a vocabulary I find very useful and effective for those who request more extensive work on their feet but my goals and intentions always remain within the scope of massage therapy.